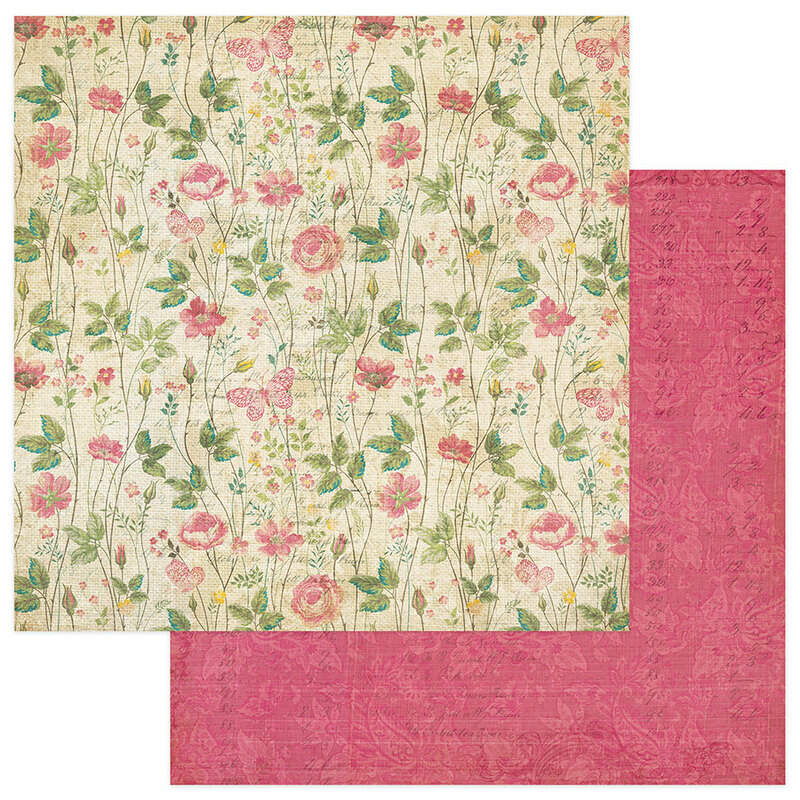 This 12x12 double sided paper has Beautiful Willowy Florals on the frontside while the reverse has a rich Pink tone-on-tone pattern. Look for coordinating Products including PhotoPolymer Stamps, Etched Dies, Element Stickers, Ephemera Die Cuts and other Designer Papers. Part of the Moments in Time Collection by PhotoPlay Paper.